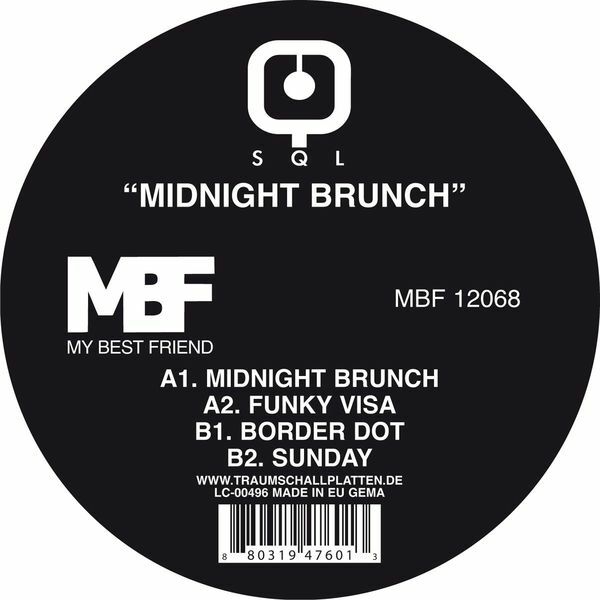 An ample six tracks on this digital edition of SQL's Midnight Brunch EP, kicking off with a title cut that whomps through a seasick, sinusoidal bassline that's been fully lined with uptempo 4/4 beats and punctuating percussive edits. It's a reasonably simple formula but effective enough. Deploying a little more melodic content, 'Funky Visa' keeps the comedy track titles rolling by, this time with added cymbal action and micro vocal edits. Further highlights come from the highly tuneful 'Sunday' and the deftly put together Intuitiv remix of 'Border Dot'.